Hello there I'm Laura from That's So Yesterday, Danielle has bravely let me take over on her blog with a guest post. As my personal fashion style is a tad out there, I thought that instead I would use my thrifty skills and share some budget friendly bedroom inspiration. I'm not sure why, but I love buying new bedding it's the easiest way of giving your room an instant update. With Spring in the air it can be a nice time to add some colour, print and texture in the room. I'm not really into plain and simple, but if you are you could always buy a extra set of pillow cases in a colour that will suit the set and swap them for the patterned ones. If you want to just dial it down a little, and make it easy on the eye. A couple of pillows throw on, and some nice smelly candles make your room feel more cosy. I sometimes like to blog from my bed, and it's nice to feel comfortable and have good lighting also. So a nice lamp or lampshade can change the whole feel again. I actual purchased this kids lampshade for my bedroom, as I just loved the patchwork pattern so much. Don't be afraid to buy something if you like it, I think it can go where you decided it seems obvious but some times you may not think of it in another space of your house. I hope this has inspire you, and you find some nice pieces for your bedroom. Which of Laura's bargains are your favourite? 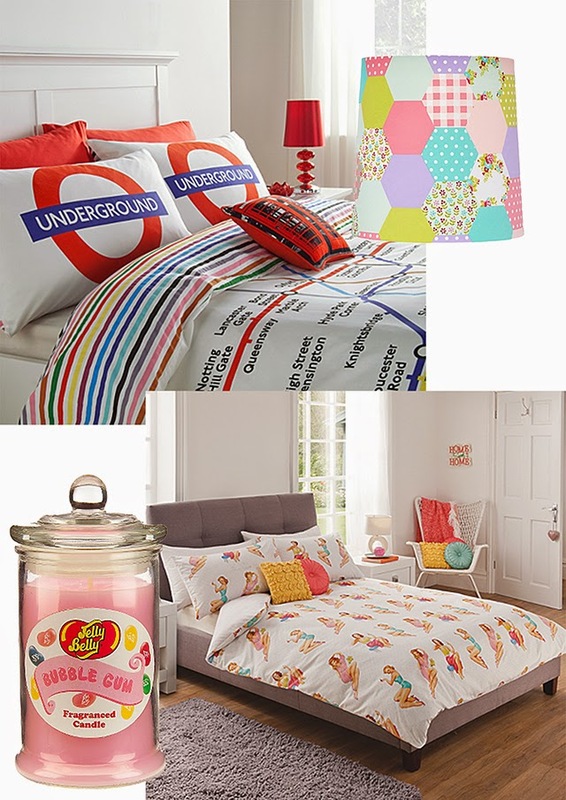 I'm very tempted by the bubble gum candle, the pin up bed covers and the heart shaped wicker box! 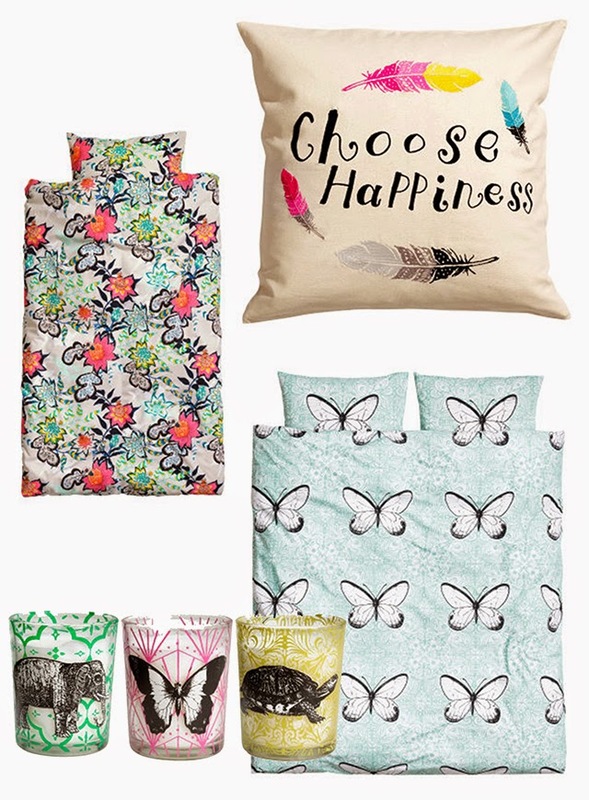 I love the underground bedding and the pin up one too! I might have to get one of those -not that I think they'll match my room but I'll make it work! That pin up bedding is amazing! I can't believe it's only £10, I'm in dire need of sprucing up my room so I might bed my mum to buy it.